This particular one is a California Roll (with added carrots!) 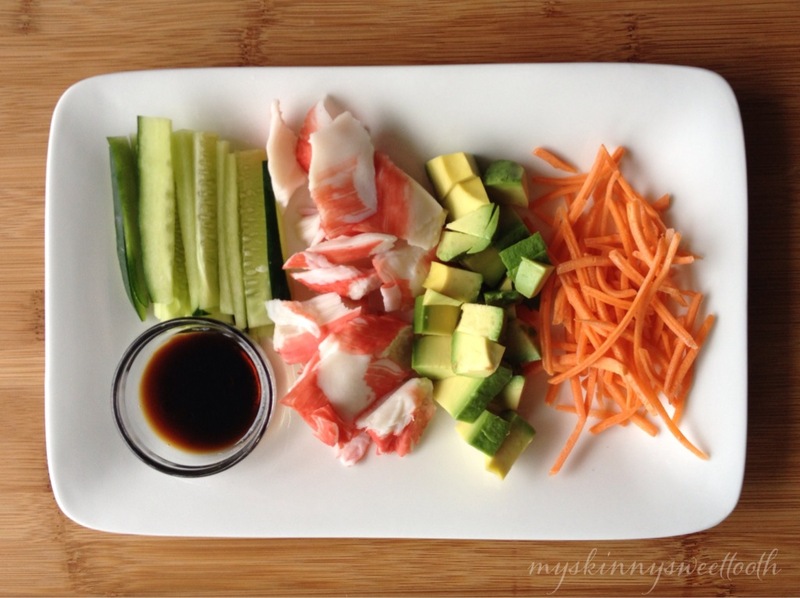 I typically don’t have fresh sushi grade tuna or salmon in my fridge. 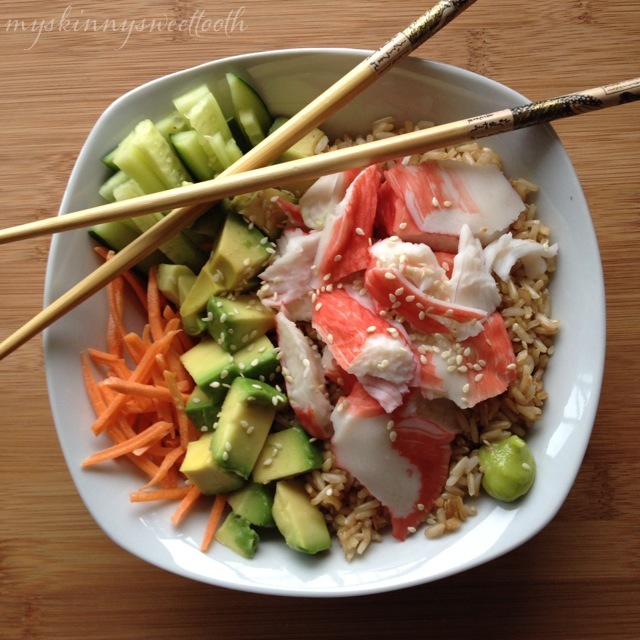 Imitation crab is more convenient. 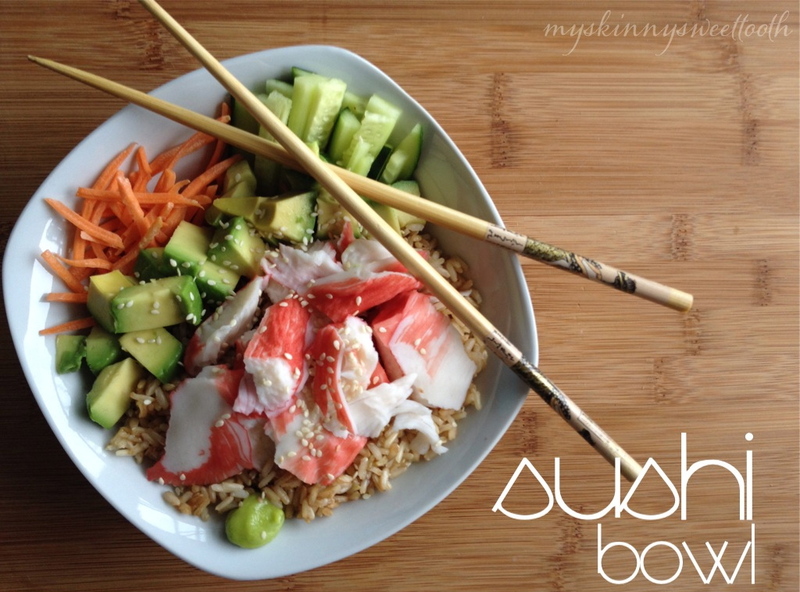 However, feel free to make your favorite sushi roll into the perfect portioned meal in a bowl. 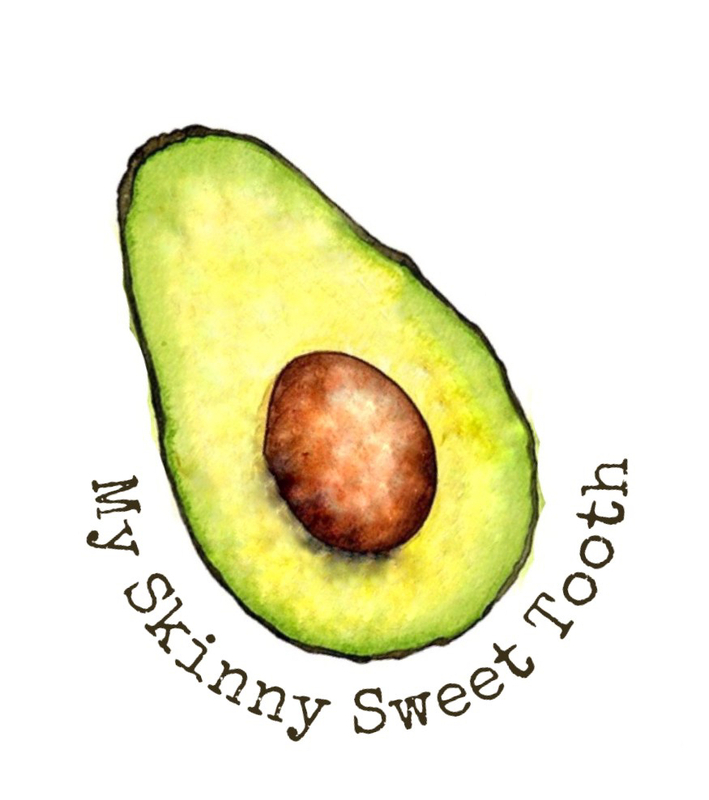 In a teeny tiny bowl, combine soy sauce, rice vinegar, and sesame oil. Add sauce to rice and mix well. 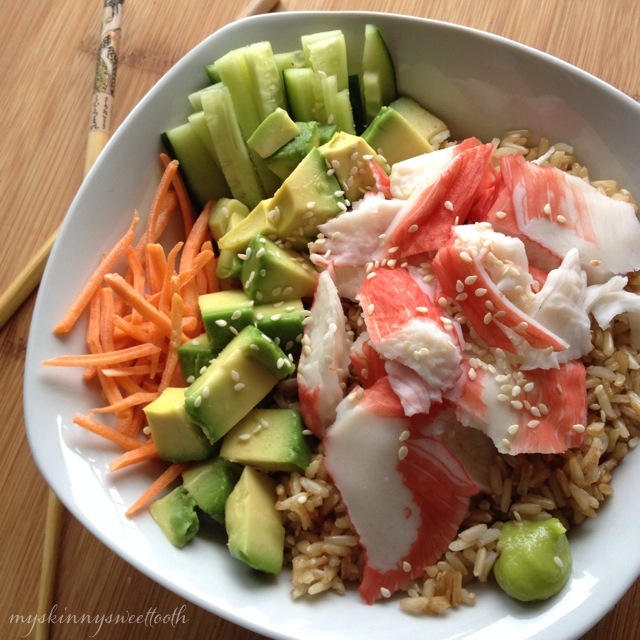 Place rice in a bowl and top with avocado, crab, carrots and celery (or desired toppings). This looks so good! I’ve been dying to have some sushi but end up not ordering any because I feel like the points aren’t worth it. But I will definitely be trying this. Thanks!